As you might be aware, I sell vintage Russian shawls and scarves through my Etsy shop, Mulberry Whisper. Here in Uzbekistan I have a great opportunity to find some rare Russian shawls which have been stored in chests for many years, and I have had some terrific finds. When they are in good condition, we sell them as is, and if they are damaged, we upcycle them. We also offer cotton Russian shawls which are wonderful for a warmer time of the year and perfect for those who do not wear wool. We have been quite successull and we greatly enjoy this part of our activity. All of our shawls are authentic Russian shawls produced at the Pavlovo Posad Manufacture, and in most cases I can tell you about the artist who created them, the years of production, and other details. We know what we sell and will never offer fakes. Now I want to share a piece of my luck with you by giving away this lovely medium sized Russian scarf worth 30$. This is a fine example of the classic Russian shawl: bright coral flowers (of course there are roses among then) and kelly green leaves, accompanied by bright decorative elements, on soft off-white background. You can see the details here. 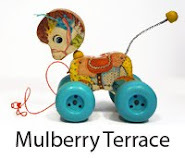 By the way, my cousin who is based in Wisconsin, also has some vintage Russian shawls for sale at Mulberry Terrace, so if you are in the US and prefer local shopping, you can buy something from him. First you leave a comment under this post and then sign in the form below to provide your name and to state that you have commented (please use the same name). 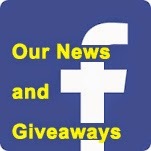 After you indicate that you have left a comment on this blog post, you will see options for additional entries such as blogging about the giveaway, sharing at Facebook, etc. Even if you are not interested in those additional options, you will need to at least register your comment using this form in order to enter, because the winner will be chosen automatically with the help of this software. If you do not do that, you will have no chances to win, sorry. And if you happen to win - we ship all items for free, including your purchase! (If you do buy something this time, please send to us at MulberryWhisper a note to delay shipping until the end of the giveaway). This includes our past customers. If you have already bought from us, you qualify for the additional 5 entries! Claim them and indicate your Etsy user name in the form. This giveaway is open worldwide and comes with free shipping as long as you have a valid address (no P.O. boxes please). You should be 18 years old and above to qualify. All entries of the drawn winner will be verified. 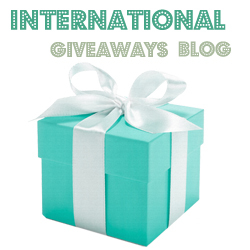 The giveaway is kindly supported by the International Giveaways Blog, Etsy Giveaways, Giveaway Monkey and Giveaway Promote - thank you! Я ношу, кстати... у меня их штуки три. Это теперь смотрится очень оригинально ) действительно ведь, мало кто носит. А этот без кистей, упс, но все равно хорошенький. This shawl is beautiful! Such shawls are increasingly popular - at least here, in Poland. Some let's say 10-15 years ago such patterns were associated with traditional dresses, as seen in museums, or worn by elderly women. And nowadays they are part of street fashion. Anyway, an authentic one is a real treasure. Thank you! I do wear mine a lot, they are very comfortable both for the street and work, and also when you are flying. It is a good thing that they are sturdy. There are not many people around who wear them, but some of my friends follow my example now. They are so pretty! A real treasury! Always wanted to have one of those!!! Je l'aime , les couleurs sont brillantes et pleines de vie. C'est vraiment un des symboles de la russie. i use to have a russian scarf , it was in black . Very pretty! I look forward to moving somewhere cool enough that I can wear scarves again. Ive never owned a shawl, this one is pretty. This is a beautiful shawl. So great that you are locating these and getting them on the market. Wow, prize shawl is fab. & splendid. 2 fingers snap. It is tight, fly & off the chain. Thank you for the awesomeness, the contest, and generosity. Pick me, pick me! The shawl is beautiful! - Judith R.
Thanks for this beautiful giveaway! That is just beautiful and you have wonderful taste! Thanks for sharing. I've never had a shawl. I'd feel so sophisticated. That scarf is utterly gorgeous! 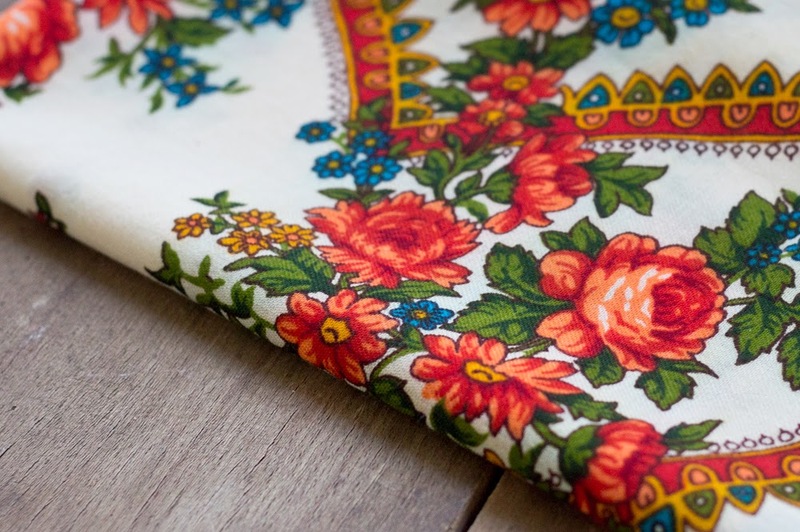 I've never owned an authentic Russian shawl- how gorgeous! Lovely shawl! It reminds me of my Baba! Everything on etsy is BEAUTIFUL! Love the colors. The shawl is absolutely beautiful! So colorful and so cheerful, love it! My baby sister majored in Russian. She brought me back a black Russian Shawl after she visited Moscow. They are lovely! I love shawls. I have green, white, etc. Мечтаю о таком платке)))) очень красивый и стильный! Shawl has an awesome DESIGN. I love this shawl, its sooo pretty. Would love to win this. What a lovely item. It would be a perfect gift for my sister turning 50 next month. She is a stage 4 cancer survivor and this would be such a special gift. It would be so cool to own a vintage Russian scarf. My daughter would probably claim it for her own. What a beautiful shawl! Thank you. This is beautiful - thanks you! Your shawls are gorgeous! The floral pattern makes it perfect for spring! The shawl look wonderful! I've been obsessing over all things Russian, lately. I love the colors on this shawl. It's so lovely! This shawl is so beautiful I would love to have it. This is such a gorgeous shawl! I love the pattern! That shawl is utterly gorgeous! Thanks for the great giveaway. My favorite item from the shop is the silk ikat jacket. The shawls you sell are beautiful! I favorited you on Etsy. When I was little I took dance classes and one year a Russian based dancer came and taught us a choreography with Russian music and we wore a similar scarf, they're so beautiful! What a beautiful shawl! Thank you for the giveaway. I love the design. I love collecting accessories from around the world. Beautiful. So pretty! We used to have a lot of Russian things - all beautiful - but many were lost through the years. My grandparents were from the former USSR (Odessa in Ukraine), and my aunt is from Moscow. Just gorgeous! The shawl is beautiful, I would love to have one. Such a beautiful shawl. I favorited your shop at Etsy. My friend would love this. She has many shawls and scarfs. Russian scarves are so beautiful! Mulberry whisper has awesome collection of shawls. I'd love to win this shawl. This is such a beautiful shawl! Love your shop! This is so pretty and would see a lot of use by me! This shawl is soooo gorgeous! Я очень люблю шарфы, платки, палантины. Есть в моей коллекции несколько павлопосадских платков - ношу их и с джинсами и с платьями. Мне, вообще, нравятся "народные" мотивы в аксессуарах. thank you for the opportunity :D i love the scarf because it looks very playful and just perfect for spring. I like the shawls and scarves on that site. This would look beautiful displayed in my livingroom next to my Russian Nesting Doll Collection. I just love them. I always search when I'm at yard sales or thrift stores, for them. the shawl looks great ! In Soviet Russia, shawl wears you. Beautiful shawl! And thanks for the chance! This shawl is absolutely beautiful. I love the bright and bold colors. This shawl is very, very amazingly pretty. Thank you for the chance to win such a fine item. My Russian foreign exchange student gave me a shawl 16 years ago and it got lost in one of my many moves. Bloglovin! Follow Me, and I Will Follow You! Giveaway Winner Announced: it is Erin P.!